I can’t believe March is here already. The days are getting longer, the daffodils are well and truly out and at last the blossom of spring beckons. It’s just a few weeks now until the launch of the next four of our Authority Guides. As an Authority Club member we would love to invite you to the launch, to be held at Waterstones High Street Kensington. Please click here for more information and to sign up. For most of us, the new year resolutions we made are either well under way to being achieved or quite buried and forgotten by now. Perhaps even more than January, spring is a great time of year to be thinking of what we could be doing differently to improve in our businesses, in our lives, in the lives of others and even in the wider community. So my conversation with our guest on The Authority today could perhaps not be better timed. 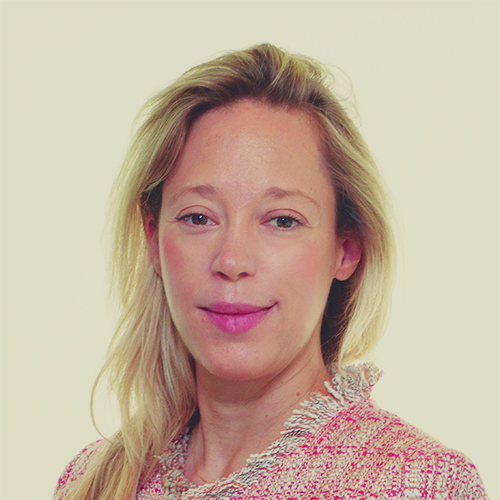 Palma Michel works with leaders from all walks of life using mindfulness and brain training techniques. 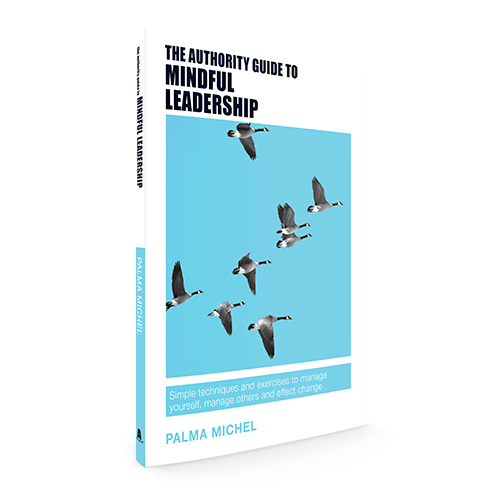 She shares these with us in The Authority Guide to Mindful Leadership: Simple techniques and exercises to manage yourself, manage others and effect change. If you’d like to pre-order Palma’s book, or purchase any of the Authority Guides, please don’t forget that as an Authority Club member you are entitled to 10% off – and we offer free shipping from our website. Just apply code authority01 to your order. I wish you a very happy springtime and I look forward to seeing you at the launch if you can make it. The digital age is challenging us both individually and collectively. There is a growing recognition of the challenges presented by the pace of change, the uncertainty and the turbulence of doing business in the 21st century. Leaders widely agree that the new normal is that nothing is normal and the only thing certain is that nothing is certain. Additionally, the 24/7 fast-paced digital economy has made it increasingly difficult for leaders to focus and carve time out in their diaries to think and work strategically. As a result, many leaders find themselves doing ‘busy work’ and reacting to what is urgent. In this new environment, applying yesterday’s solutions and behaviours to today’s challenges does not work and leaders are looking for new ways to master the challenges of the current environment. Research shows that mindfulness training has many benefits. It strengthens the ability to focus, supports decision-making and strategy and increases authenticity and emotional intelligence. It also helps people to skillfully respond to pressure, demands and uncertainty, which are a constant in today’s business environment. Make a formal commitment with yourself to sit every day for meditation practice. Observe your breath by paying attention to the in-flow and out-flow of your breath. Count each exhalation. Don’t try to empty your mind or stop your thoughts. Allow the thoughts to be and just concentrate on your breath over and over again. Like training for a marathon, start with a length of time that you can do every day (for example, three minutes), which is challenging you, but does not feel like a chore. Regularity is key. In order to strengthen your attention muscle it is better to practise three minutes every day, instead of one hour each Sunday. This month we’d like to thank William Buist, author of At Your Fingertips: A guide to successful online business networking for his double recommendation of two books that have inspired him recently. Kahneman’s Thinking Fast and Slow is an extraordinary insight into better decision-making. This book made me realise the need to put time into decision-making and allow the slower rational brain time to reflect on what the fast intuitive mind comes up with. Our CSI (clarity, strategy, implementation) product is now designed with specific breaks between meetings that allow clients time to consider the work we have done together before we race forward again. There are specific questions we pose, some that we answer and some that we deliberately leave hanging. It’s wonderful to see the change as the insights from the slow thought filter back to moderate and improve the intuitive. It’s embedded in everything we do. Warren Berger’s A More Beautiful Question is a divine book that every facilitator should read. It’s designed to make you realise that how questions are formulated drives so much of the answer. A more beautiful question is one that that is both open and opening. Whilst still an early grade student on this aspect of asking the right thing in the right way to lift insights and performance to the highest level, I’m never going to stop learning about questioning for insight; it’s fascinating. Meditation is a natural state that helps us become more mindful.